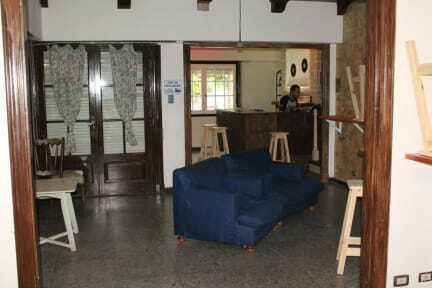 There is no availability for Zeppelin Art Hostel on your selected dates. It is like a student house because most are living there during their studies. Despite being three times their age they were friendly! The dorm was tiny and because the others had so many possessions very cramped and untidy. The bathroom was large but needed a good clean to get rid of black mould. The kitchen was functional but the youngsters did not clean up after cooking so it was often very dirty despite staff trying their hardest. It was badly in need of an upgrade. Staff doesn't really care about you, maybe if you're staying for longer or you're Argentinian. The whole house could need a renovation, but in general it is okay to stay there for a night. Nice building and good environment, but the staff did not give us much information on Mar del Plata or many recommendations, especially when we asked for directions to the beach or restaurants. My bed was broken and there were only a few single-person bathrooms for a hostel full of people, making it hard to even brush your teeth in the morning. It was close to downtown but not to the beach. The front desk was only open from morning to early evening.